Solar-powered refrigeration has been a winner at business plan competitions across the country, driven by a team from the University of Houston and the business plan the team created to commercialize a technology developed by NASA. 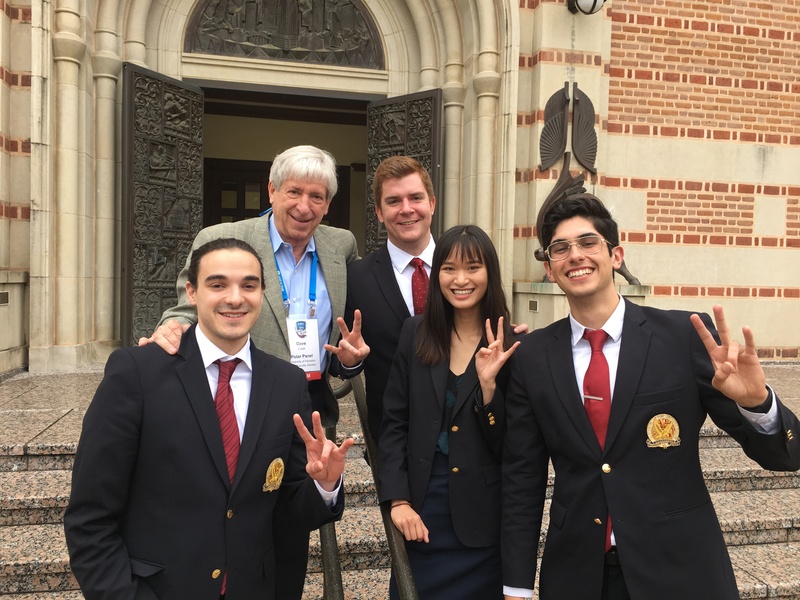 The PolarPanel team competed in nine competitions, winning five and taking home more than $45,000 in cash prizes, money that they will use to fund building the third-generation prototype and testing. The business plan project is part of the curriculum at the nationally ranked Wolff Center for Entrepreneurship at the C.T. Bauer College of Business and pairs teams of students with technologies that may be ripe for commercialization. PolarPanel is a renewable energy startup that’s using the NASA developed technology to transform the cold chain, or the system of production, storage and transportation of goods that must be kept refrigerated. The PolarPanel business plan targets refrigerated railcars and retrofits them with solar panels to avoid the need for diesel fuel and the resulting harmful emissions. “We’re replacing diesel reliance with solar panels for refrigerated railcars to save railcar owners’ money and promote a cleaner solution,” said PolarPanel member Viviane Nguyen, a recent UH graduate with a double major in entrepreneurship and marketing, who oversees marketing for the team. The team was confident in their business plan and believe their product could make a difference in the industry. Despite some challenges, PolarPanel leaders say they are doing well with their business plan. “Through Wolff, we went through all the ends of creating a business, going through customer validation, finding a customer pain to relieve and value proposition, figuring out strategic partners, a marketing plan and financials,” said Nguyen. The students spent a substantial amount of time preparing for their competitions, work that paid off when they began winning. “We spent hours practicing our pitches,” Nguyen said. The team worked well together. “While we have different roles, we all pitch at presentations and feed off each other’s ideas.” Nguyen said. The PolarPanel team is proud of how far they’ve come. For more information on PolarPanel, or to stay connected, visit their website at https://www.polarpanel.co/ or like their Facebook page PolarPanel.